This song can be taken a few ways. First of all, view the booklet page. There’s a blood splatter on the final text box, a shady Marisa, and the sight of a seemingly unaware Reimu. 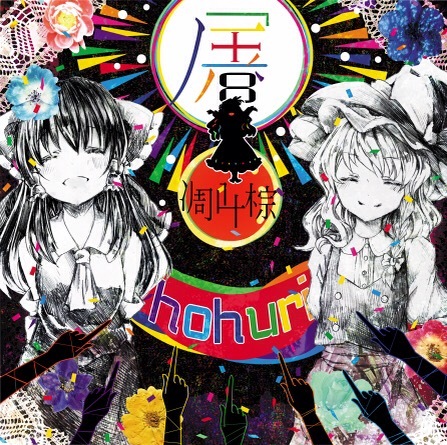 One way to look at this, is that the song is coming from Marisa’s point of view (who went crazy on mushrooms in the previous track (げんきになったときのうた) by the way), and that she’s now come to keep Reimu for herself, forever, as a corpse. Another way, could be Reimu is obviously singing this with images of a pure love, unaware of the encroaching fate to soon befall. Này, hãy ở bên tớ nhé!